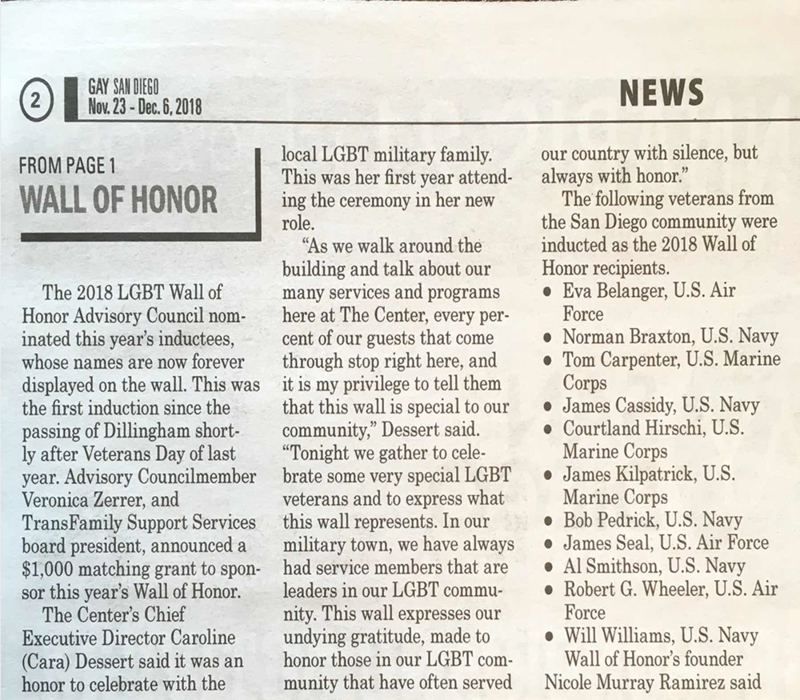 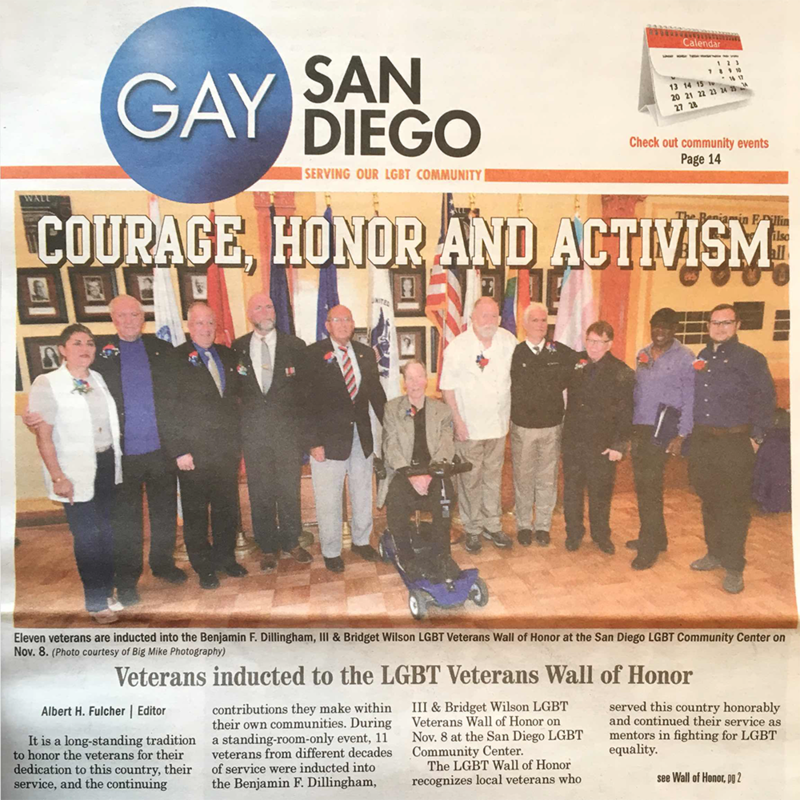 It’s with excitement that we share the news that Warriors Live On founder Eva Belanger had the great honor of being inducted into the Benjamin F. Dillingham,III and Bridget Wilson LGBT Veterans Wall of Honor on November 8 at the San Diego LGBT Community Center. 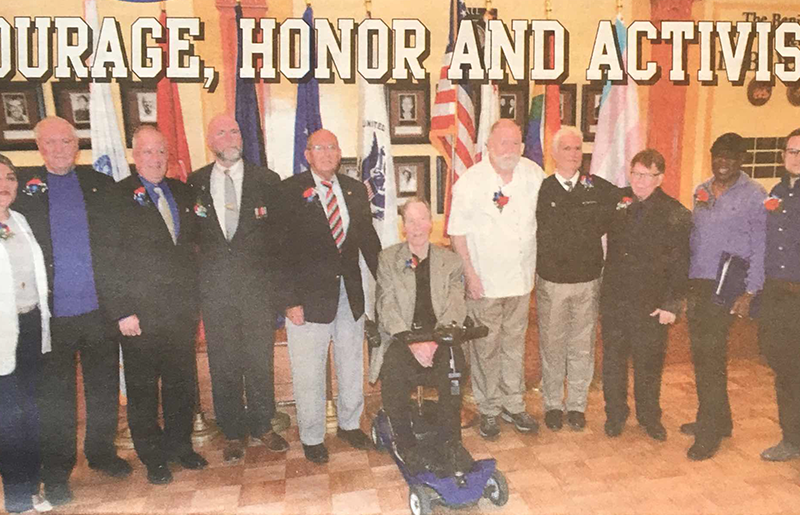 Belanger was admitted during a standing-room-only event alongside ten other veterans whose military service spanned decades. 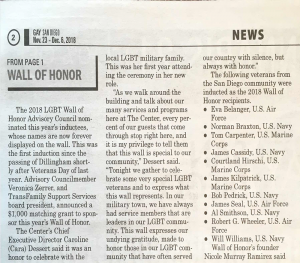 It is quite an honor and achievement to be recognized for her hard work and dedication, especially in San Diego, which is the largest military community in the Western hemisphere. 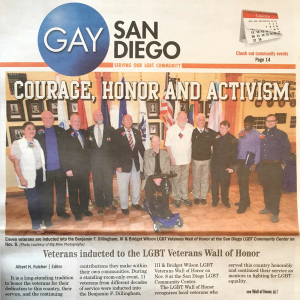 Read the story in Gay San Diego below.